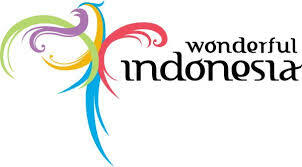 Indonesia, when you heard the word 'Indonesia' perhaps the first thing that pops out in your mind is 'Bali'. Yes, Bali indeed sounds very familiar, and indeed its true that Bali is one of the most favorite tourists destinations in the world. However, Indonesia is much more than that.Its enchanting culture, diverse landscape, rich diversity in cultural relics, and also the friendliness of the Indonesian people, all of these indeed are not easily forgotten, and indeed will bring more than just an experience.